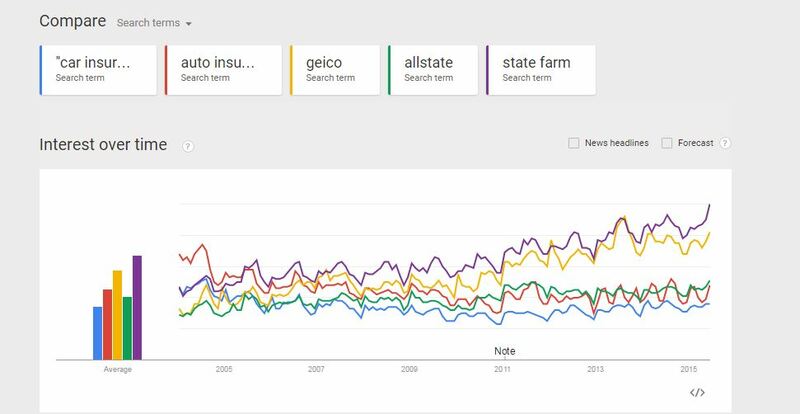 USAA announced Thursday it had signed on to display quotes through Google Compare, the largest auto insurer to join Google’s new insurance shopping search. USAA is the nation’s fifth-largest insurer with 5.17 percent of the U.S. market, according to 2014 data from the National Association of Insurance Commissioners. No. 6 Farmers (5.09 percent), No. 8 Nationwide (3.85 percent) and No. 9 American Family (1.85 percent) do have their respective subsidiaries Foremost, Titan and the General represented. But USAA is the first large insurer to be completely involved. Google Compare is only available in California — for now — and USAA only covers service members, veterans and families. So the announcement probably doesn’t quite carry the weight of the top 4 insurers or even if Farmers or No. 6 Liberty Mutual had completely signed on. But USAA trying the pilot program still means insurers and repairers should pay attention. USAA also has plans and room to grow despite its niche. Its various offerings serve 10.9 million people, and it estimates 60 million altogether might be eligible to use it. “For those unfamiliar with USAA, this could provide another way for potential members to discover USAA and learn about our competitive products and exceptional customer service,” USAA innovation Assistant Vice President Jon-Michael Kowall said in a statement. If Google is successful, comparison shopping in the U.S. could push more consumers into high-deductible, low-coverage policies, which mean less business for shops as customers’ damage grows uncovered and they opt to avoid repairs within those higher deductibles. Sixty-five percent of insurance is bought through these sites in the U.K., Parker wrote in April 2014, and premiums fell 40 percent. This caused pressure on insurers internally and to seek savings from the repair process, according to Parker.